Date and time tool allows your to show a wide range of different date and time counters on your landing page. You can show the date and time of the current visitor or even set a specific date and time in the future that you wish to display in order to personalise your page. 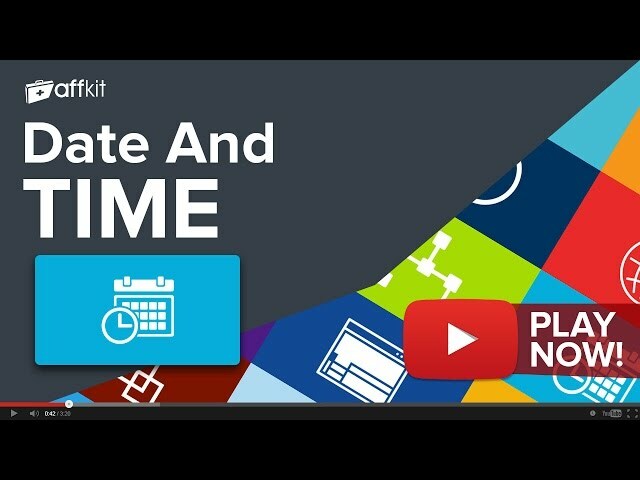 Date and time comes free with your AffKit membership. Sign up now to have full access to Date and time and another 20 must use tools. If you're already a member you can Log in now or Sign Up to get access.